How can I put my videos on a DVD? Search for "DVD Maker" in the the bottom, left corner of the computer. 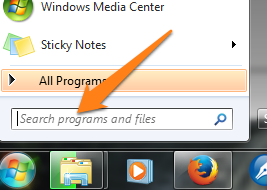 Click your Windows button to get the search field. However, you should know: I don't use DVD Maker. I use the 10$ "gold pack" upgrade of Freemake Video Converter. This is primarily because it can handle video content of nearly any format (not just WMV video), and because it can add captions to the DVD menu, which Windows DVD Maker cannot provide.